Navan mining veteran Peter McParland has won a joint venture deal to first investigate, and then possibly develop, a Welsh mountain prospect that is believed to have potential for copper, zinc, lead, gold and silver. 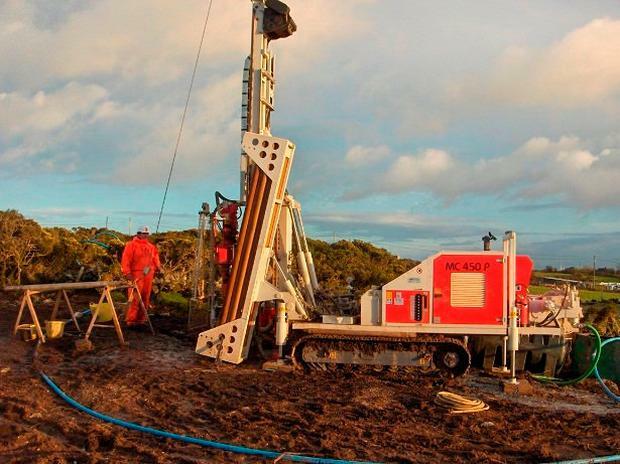 The deal struck with Anglesey Mining is seen as a big step forward in that company's advancement of its Parys Mountain copper, zinc, lead, gold and silver project, located on the island of Anglesey in North Wales. Anglesey Mining is already carrying out feasibility and development work at the site, which has a reported resource of 2.1 million tonnes at 6.9pc combined base metals in the indicated category. Should Anglesey decide to proceed with the project, QME will be awarded, on an exclusive basis, contracts for the development of an underground mine, including the rehabilitation of an old mine at the site, at its own investment. In consideration of this, QME would earn a 30pc undivided joint venture interest in the Parys Mountain project. "We consider this to be a very important and positive step forward in the development of the Parys Mountain mine," said Anglesey chief executive Bill Hooley. "QME is experienced in underground mine development and has developed and recruited the necessary skills in mine planning to deliver local and relevant underground mining expertise to Parys Mountain that will assist Anglesey to move forward with the development of the Parys Mountain project at no direct cash cost to Anglesey or dilution of its shareholders." QME Limited was founded in 1987 by its current managing director, Peter McParland, and is based in Navan. It operates several divisions and provides a wide range of services in the fields of both mine development and operations to the local and international mining community. QME has worked with a wide range of clients including Boliden Tara Mines, Dalradian Gold in Northern Ireland, the Tynagh and Gortdrum mines, and on a number of Canadian projects. Its equipment division is a large provider of new and re-manufactured underground and open pit mining equipment to the international mining industry worldwide. John Simpson: Farmers are now realising that Brexit will mean the Irish border will become an important new awkward dimension in planning farming businesses.